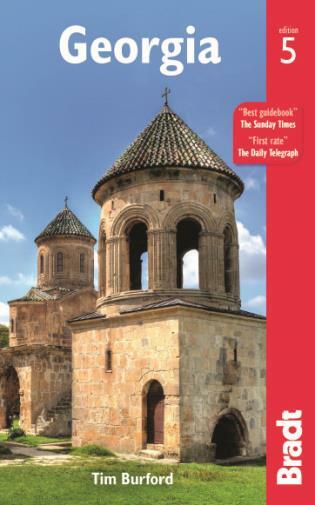 This newedition of Bradt's Georgia, the only dedicated guide to the country, hasbeen thoroughly updated throughout, with greatly expanded coverage of Batumi,Adjara and Svaneti. The capital, Tbilisi, has seen huge changes in the pastdecade with some conspicuous new projects such as the Peace Bridge, the OperaHouse and Saakashvili's Presidential Palace. Much of the country can be visitedin day-trips from the luxury hotels of Tbilisi and Batumi; the remotest areas suchas Svaneti and the Pankisi Valley can also now be visited. Mestia, the capitalof Svaneti, now has an airport and a ski resort. The Georgian wineindustry is covered, as is the Black Sea resort of Batumi, near the Turkishborder. Tim Burford studied languages at Oxford University. In 1991, after five years as a publisher, he began writing guidebooks for Bradt, firstly on hiking in east-central Europe and then on backpacking and ecotourism in Latin America. He wrote the first three editions of the Bradt guide to Georgia, in 1999, 2002 and 2007, and is delighted to be returning for the fifth edition, and that this remains the definitive guide to the country.